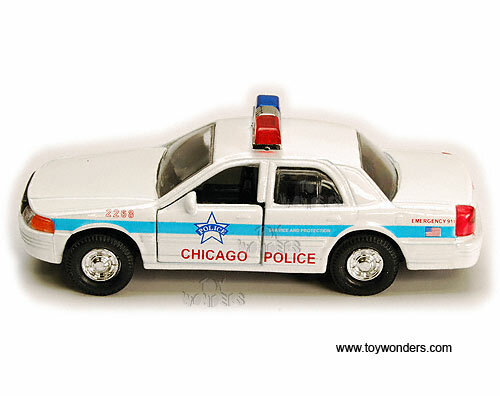 9985CG Chicago Police Car. 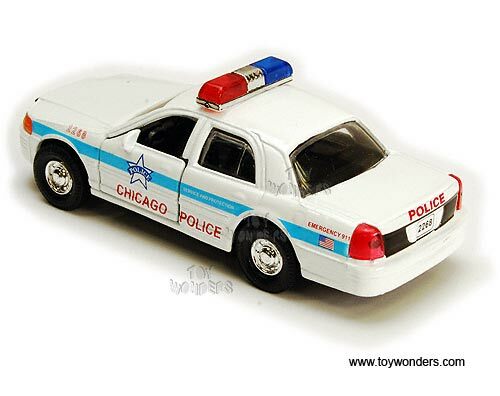 5" long diecast metal with pullback action and open able doors. 12 pcs per display in WHITE color. 72 pcs per inner box. 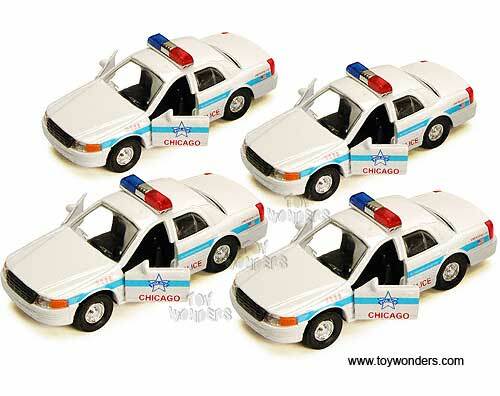 To see more Chicago collector die-cast models (click here). 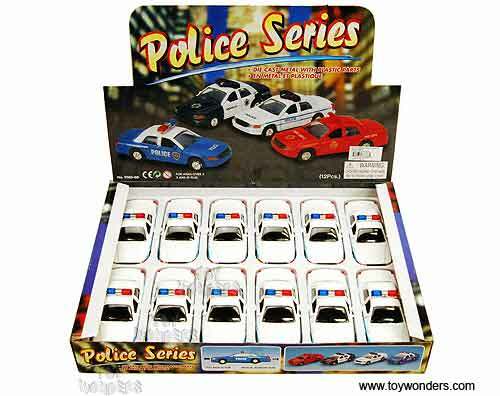 To see more Police items (click here).